In addition to our extensive range of guns and shootingequipment, we also provide a wide range of gun maintenance, repairs andservicing. 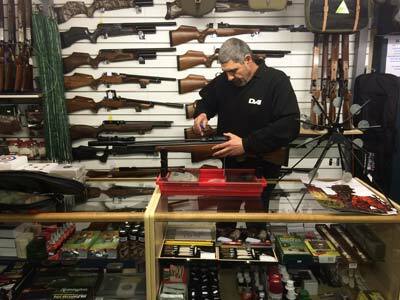 Bring your guns to our store in Brierley Hill, where our gunsmith canrepair any faults with your gun to ensure that it is always in full workingorder. Our gunsmith undertakes a comprehensive range of work on shotguns, rifles, pistols and firearms for private customers, retail shops and other gunshops. With many years of experience behind us, you can rest assured that yourequipment is in safe hands with our expert gunsmith. Our experienced gunsmith has over 15 years of experiencewith all kinds of guns.